Mr Hyde, the Shortlist Media email bulletin brand, is hosting the first annual Chicken Wing Day. 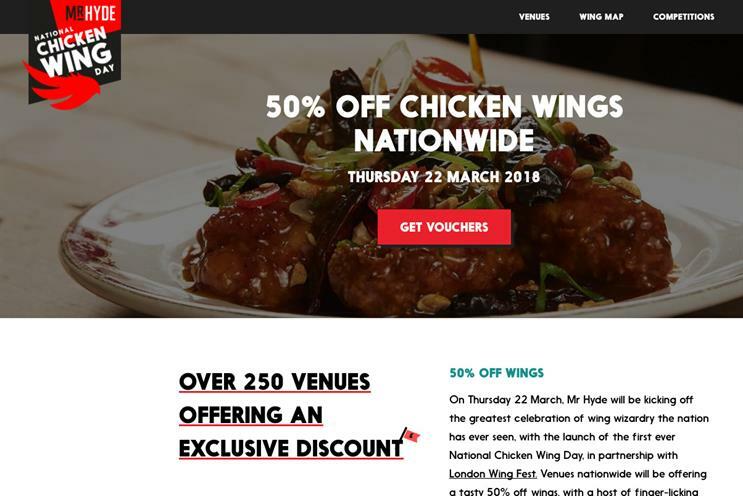 The event, in partnership with London Wing Fest, will host more than 200 restaurants offering half-price on chicken wings, as well as special menus and recipes for readers. The activation will be a street food party with drinks, live music and vendors including Randy’s Wing Bar, Bird and Clutch Chicken. Mr Hyde will take over the Old Truman Brewery in Shoreditch on 22 March.